Here at Imperial Hearing we work with all the best hearing aid manufacturers to make sure we can recommend the right product for you. Whether you already have a hearing aid or are getting one for the first time, you’ll find there’s a range of options in different shapes and sizes and for varying levels of hearing loss. Our audiologist will work with you to find the most suitable type for your individual hearing loss and needs. With the evolution of technology, behind the ear style hearing aids are a lot sleeker and slimmer than they used to be. The microphone element of the hearing aid sits behind the ear and the receiver is connected via a thin, clear tube that is placed inside the ear that routes the sounds around you. This style has the most powerful circuitry, therefore, is suitable for those with profound to severe hearing loss. Variety of colour options available. For moderate to severe hearing loss. In the ear (ITE) hearing aids are custom made to fit the outside of the opening of your ear. A pain-free impression of your ear is taken to ensure the shell of the hearing aid will exactly match the contours of your ear. With a larger battery size, ITE hearing aids tend to have more power and are therefore suitable for those with mild to severe hearing loss. Completely in the canal (CIC) and invisible in the canal (IIC) hearing aids are the smallest types available. They fit further into the opening of your ear than ITC hearing aids and are barely visible. Each hearing aid is custom made to suit the contours and anatomy of your ear canal for a comfortable fit. For mild to moderately severe hearing loss. The receiver-in-canal (RIC) model is a very discreet, yet powerful hearing aid that fits comfortably behind your ear. Unlike the Behind The Ear hearing aid (BTE), the loudspeaker of the RIC model sits inside your ear canal. This means that the casing itself is a lot smaller than BTE hearing aids, as there is less circuitry to fit inside. Receiver in the ear (RITE) hearing aids are similar to BTE hearing aids. The main difference is that with RITE hearing aids, the sound processor part of the hearing aid sits behind the ear is smaller and is connected by a thin wire to the receiver placed inside the opening of the ear. Can be fitted with standard domes or custom ear moulds. For mild to severe hearing losses. 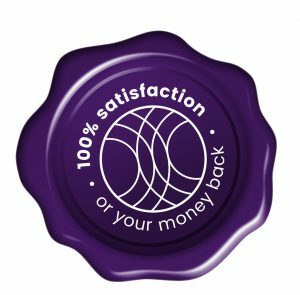 Making big decisions about health and finances requires careful consideration, therefore, we offer you a cast iron guarantee – 100% satisfaction or your money back.